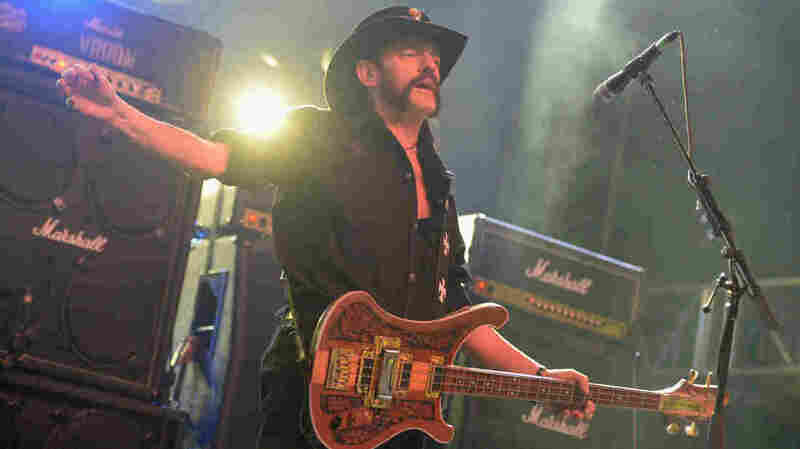 Put Lemmy On The Periodic Table: More Than 100,000 Sign Petition : The Two-Way To many, the life and career of Motörhead frontman Lemmy Kilmister personified heavy metal. Now his fans want his name on one of four new elements on the periodic table. Fans of late Motörhead frontman Lemmy Kilmister are calling for a new heavy element to be named after him. The new elements recently received official approval; the teams that synthesized them in labs have been asked to propose names — and the name Lemmium sounds good to John Wright, who started the petition. For now, the elements have temporary names playing off their positions on the periodic table, which are based on their number of protons — element 115, for instance, is ununpentium. According to the IUPAC's guidelines, elements "can be named after a mythological concept, a mineral, a place or country, a property or a scientist." Lemmy's fans say that he fulfills one, and possibly all, of those requirements. A prominent scientist has added his support to the campaign, with physicist Brian Cox tweeting, "this one surely must be right." While the petition is being welcomed as another way to pay tribute to an influential and persistent force in rock, it has also renewed a debate over whether Motörhead should be considered a heavy metal band. One of the highest-rated comments on the petition quotes Lemmy saying in 2010, "We were not heavy metal. We were a rock'n'roll band. Still are. Everyone always describes us as heavy metal even when I tell them otherwise." But the labels attached to the band, and to the element in question, don't matter to other backers — including one who wants to name element 118 Lemmium: "One of the heaviest elements known to man and the one that completes the Periodic Table! Doesn't matter if it's not a metal." Ian "Lemmy" Kilmister died at age 70 on Dec 28, just two days after he learned he had cancer. This week, he's appearing posthumously in an ad for a milk company in Finland, stating, "I don't drink milk. And I never will."